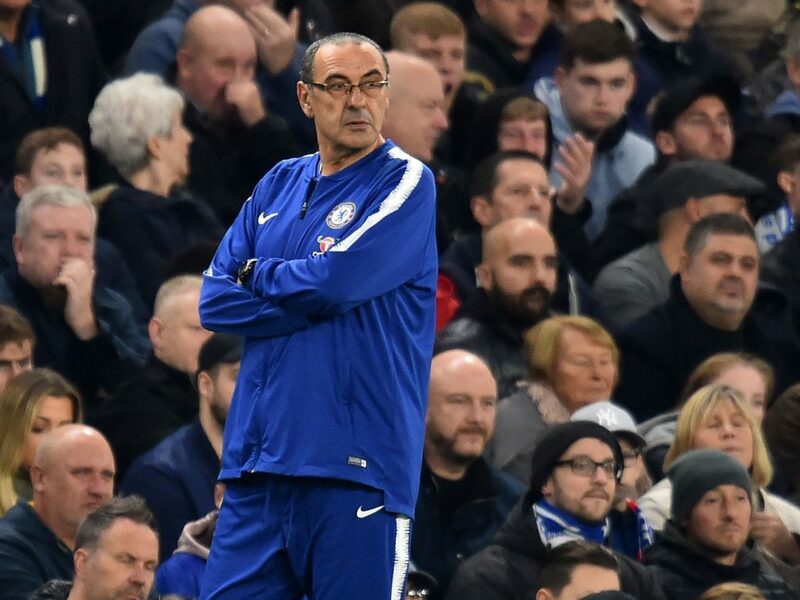 Maurizio Sarri’s future at Chelsea has been put under pressure after his side’s 6-0 defeat to Manchester City on Sunday afternoon. The Blues had 18 games of unbeaten run in all competitions but then they lost six in their last 14 Premier League games. What have been the mistakes that Sarri has made so far that even some fans have already turned against? Maurizio Sarri was expected to rotate his squad in the Europa League so they would remain fresh throughout the season. But soon it was clear that Sarri was not man to do so. Kepa Arrizabalaga, Marcos Alonso, Antonio Rudiger, Jorginho, Ross Barkley, N’Golo Kante, Alvaro Morata, Willian and Pedro all started the game, with only the back-ups of Davide Zappacosta and Andreas Christensen getting their chance. One of the big talking points has been the position of N’Golo Kante and the fact that one of the best defensive midfielders in the world is now playing in a more attacking role on the right. But fans are still wanting to see the World Cup winner back in his role. However, Sarri hasn’t done anything away from 4-3-3 formation. Sarri has given some players a lot more of a chance to play then their form would have warranted. But there were players who didn’t receive a chance such as Emerson Palmeri, who started just one Premier League game this season. A number of young talented players weren’t handed a chance to play such as Hudson-Odoi and Ampadu. Hudson-Odoi has made four Premier League appearances off the bench, but no starts, having been in the first XI for two Europa League matches and once in the Carabao Cup. Meanwhile, Ampadu has seen even less time with two appearances in the Europa League and two in the FA Cup. If the Blues have an evening match then Sarri is known to make the players train in the morning of the game. Training on matchdays is not something that goes down well with the players and could be responsible for some of their poor performances.